It's been said a man falls in love an average of three times in his life. If that's an accurate assessment, it stands to reason two of those three must end in heartbreak.Author RjCook had the misfortune of experiencing two of his three heartaches before the age of twenty - both within the same year separated by only a few months. The Road behind Me narrates his story of lost love, a tale of a journey, and a late-in-life epiphany all predicated on a single deception that he lived with for the better part of forty years. 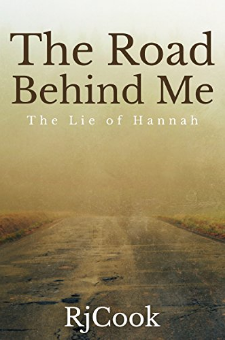 This memoir tells how, from the summer of 1974 to the summer of 1975, he traveled from New Jersey to California to escape the pain of a broken heart, only to discover that distance did nothing to diminish his memories.A true story of the author's failed attempt to create a new life for himself, The Road behind Me shares the adventures he encountered almost a continent away from home. It's a story of growing up and falling in love in suburban New Jersey; of losing love and seeking refuge in the land of milk, honey, and Disney; and of returning home a defeated and forlorn road warrior-all during the time of peace and love, Woodstock, Nixon, and Vietnam.